An important function in hemodialysis charting is the registration of hemodialysis treatment data into the medical record, which demands considerable time of nursing staff when using a conventional chart. cyberREN registers periodic machine data snapshots, including the patient’s blood pressure reading, dialysate flow and dialysate temperature readings, arterial and venous pressure readings, etc. cyberREN automates this treatment data collection and registration, reducing manual effort and errors as well as increasing safety. 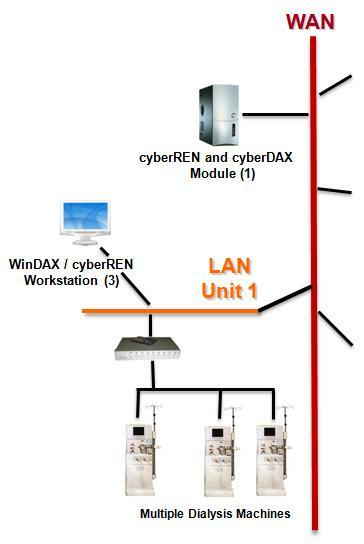 The cyberDAX module, which is vendor neutral, i.e. 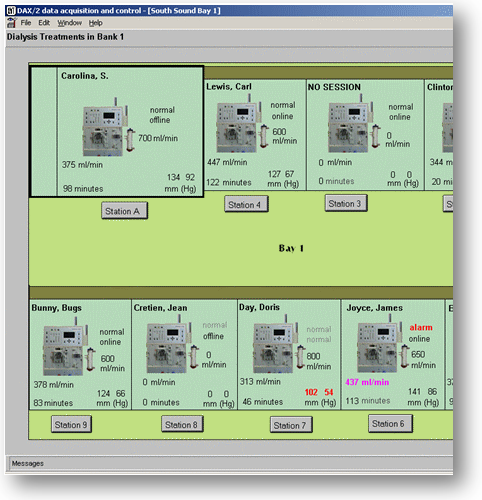 obtains treatment data from a variety of dialysis machines brands operating in parallel. Although it is common for a treatment facility to operate a single brand of dialysis machine, the cyberREN system can be adjusted at low cost to accommodate different brands in the future, maintaining purchasing flexibility for the operator of the dialysis facility.